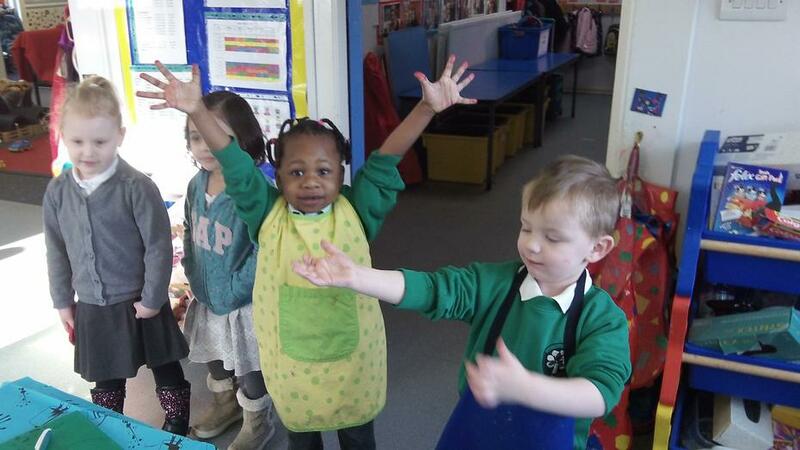 This week (29th Feb - 4th March) has been Fairtrade week. 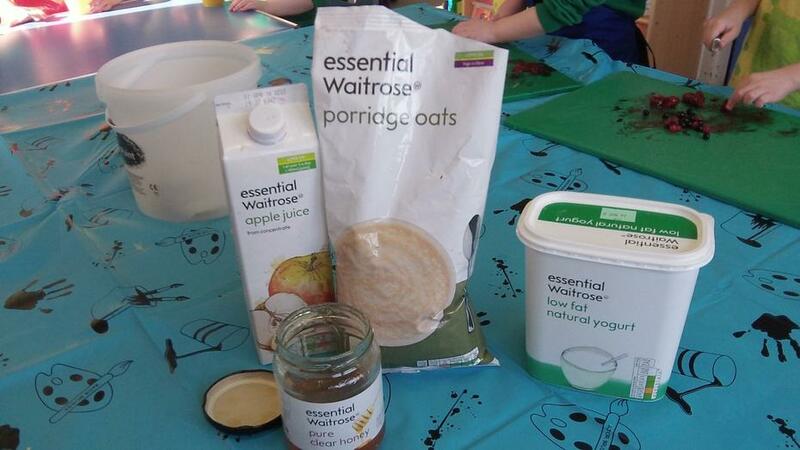 This is the Fairtrade logo. 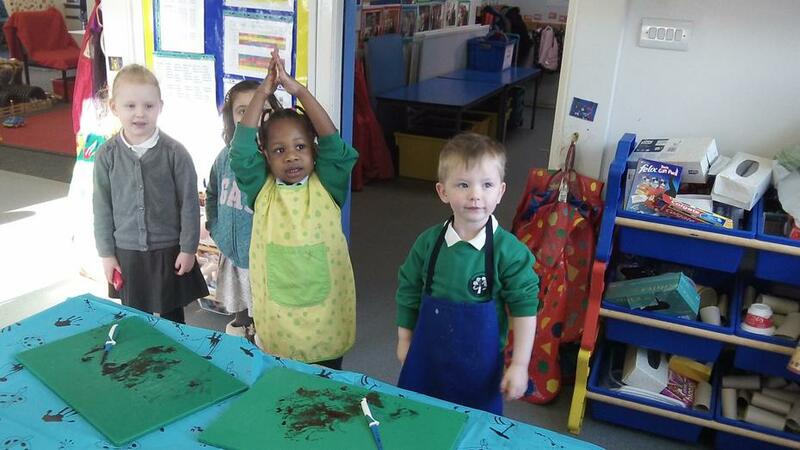 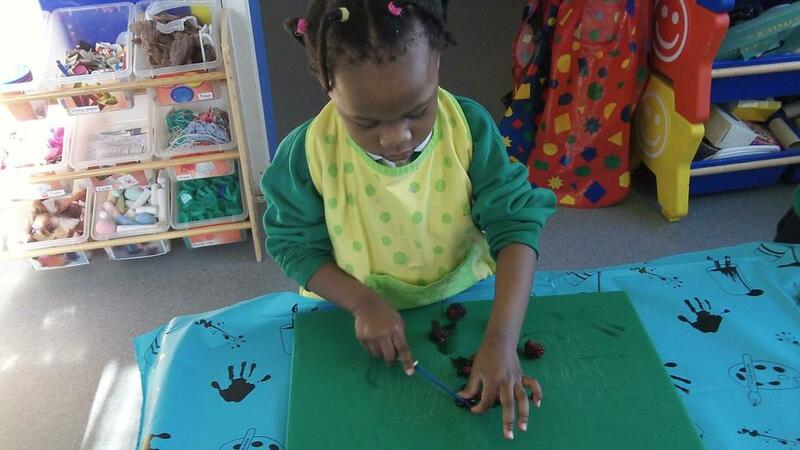 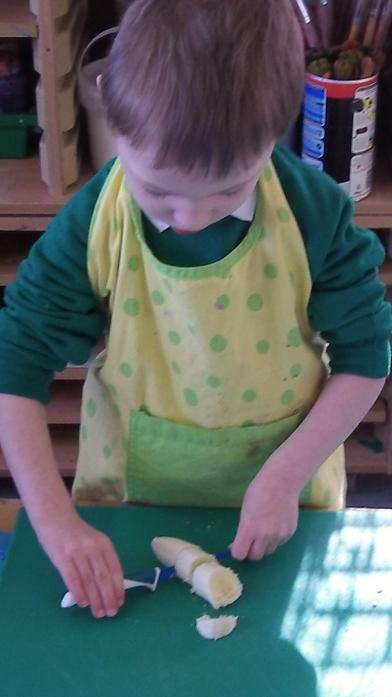 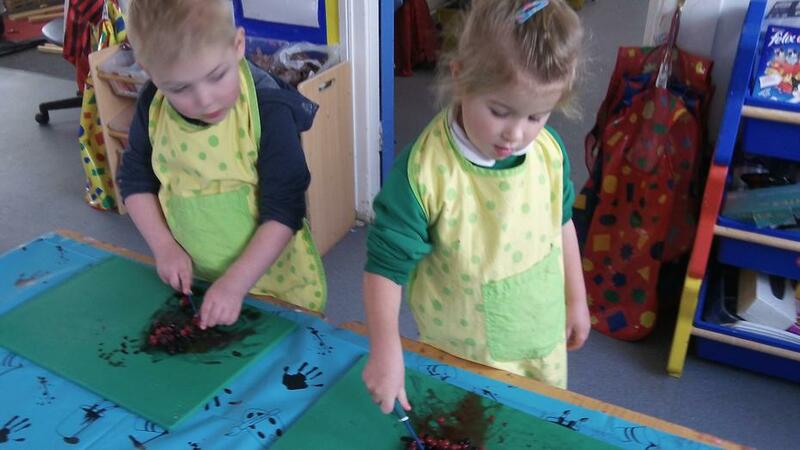 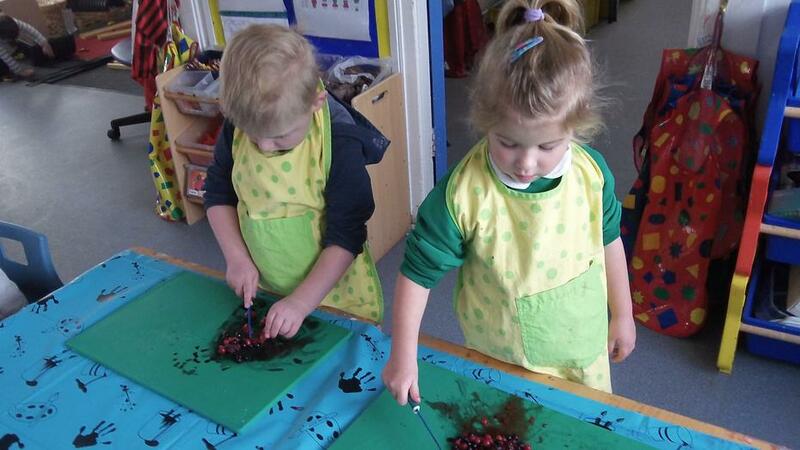 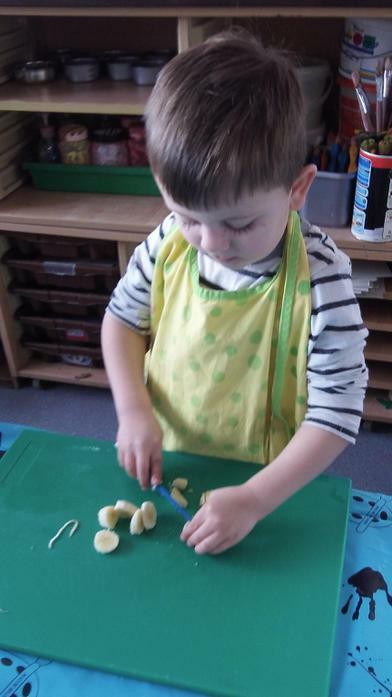 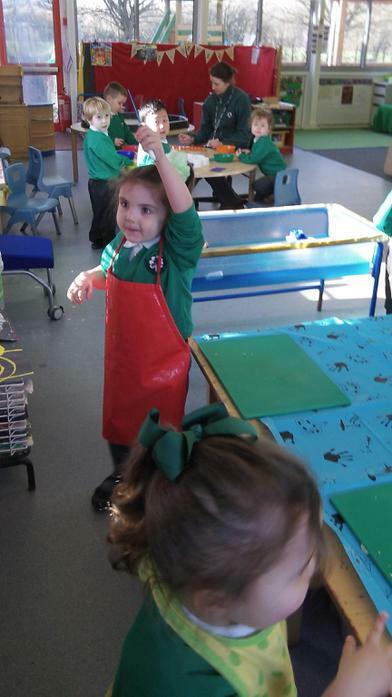 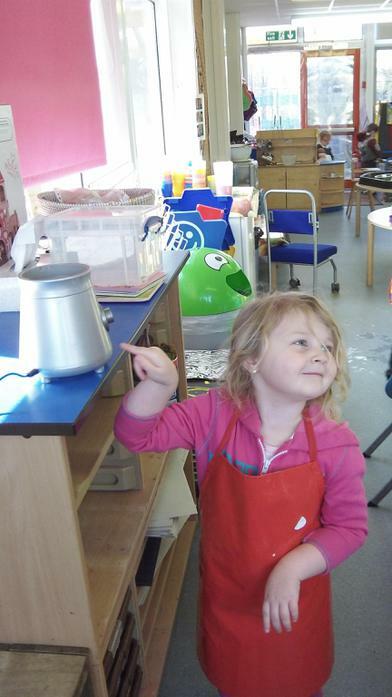 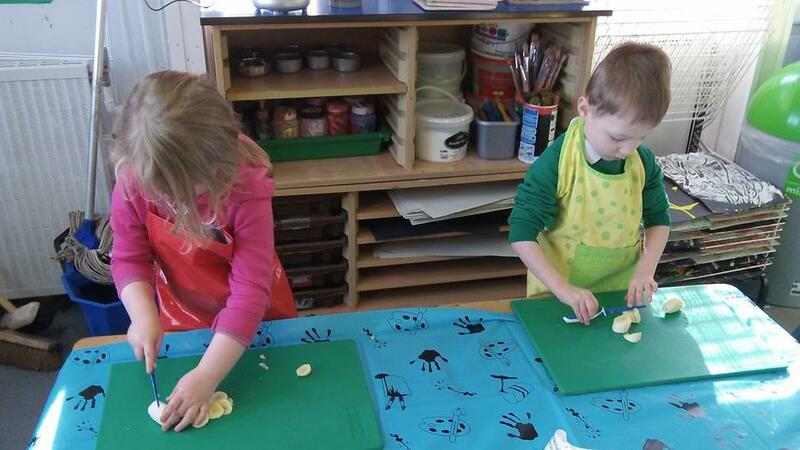 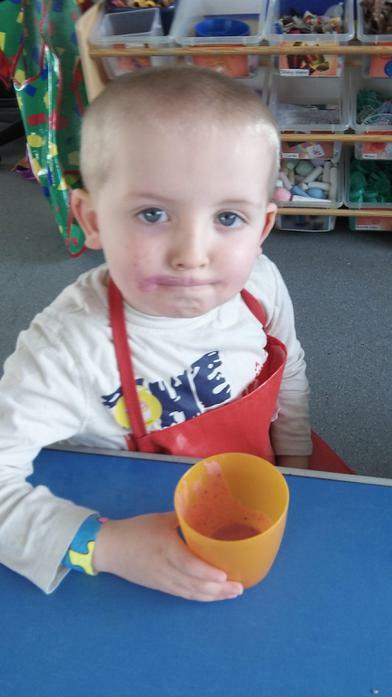 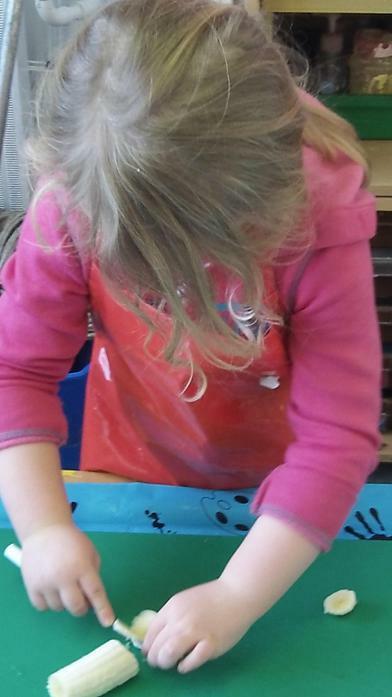 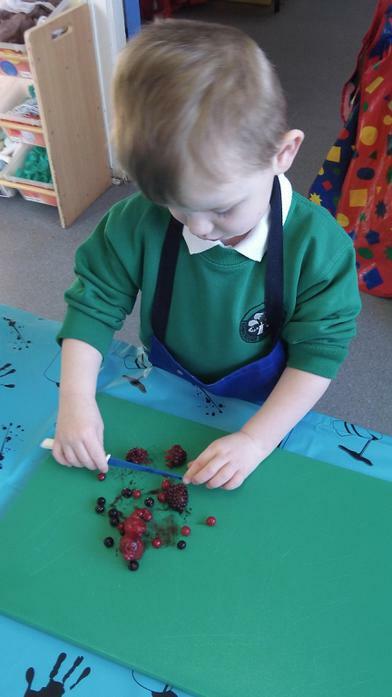 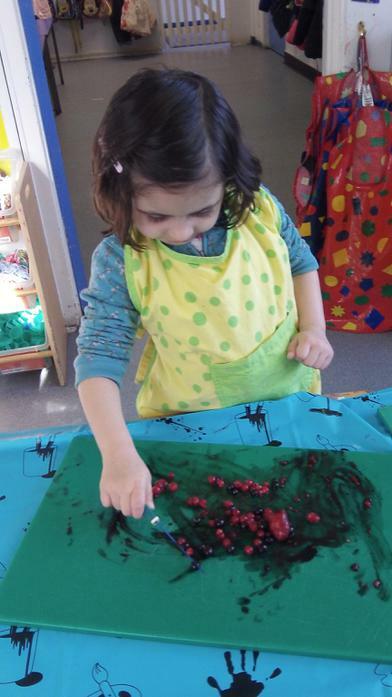 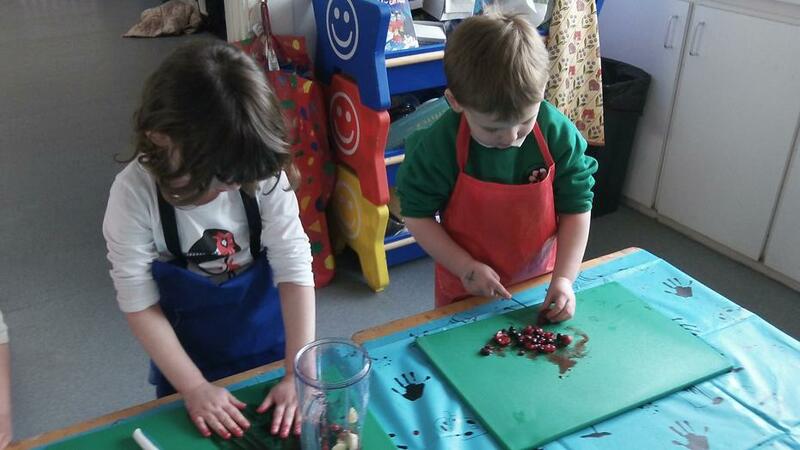 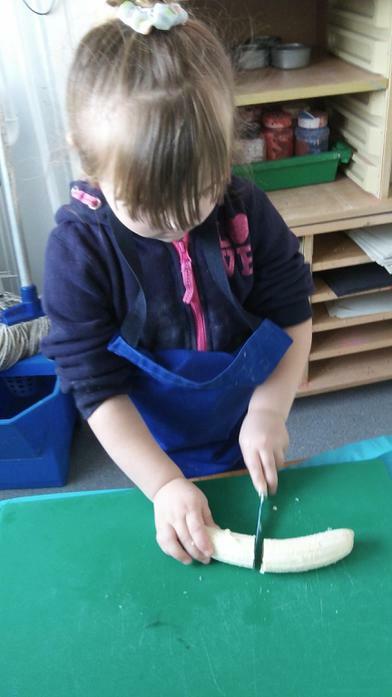 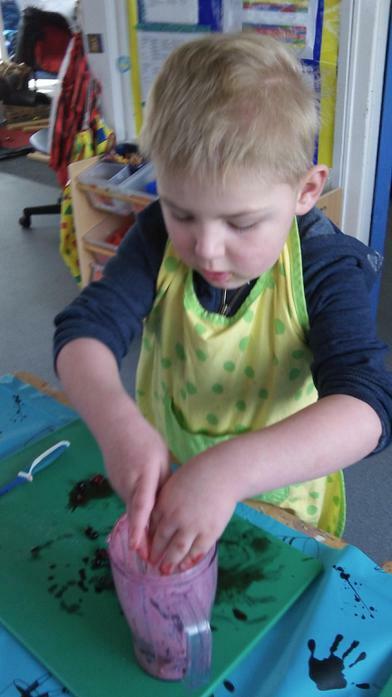 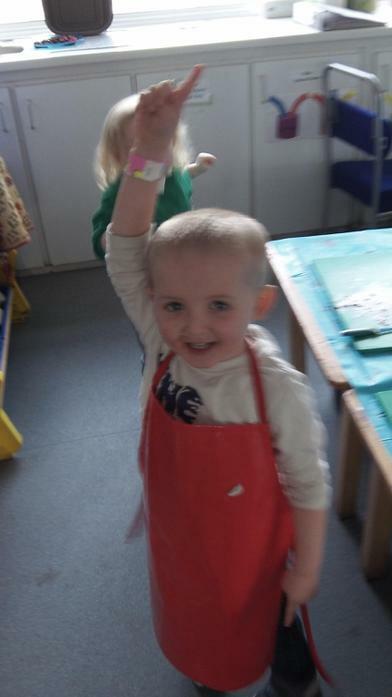 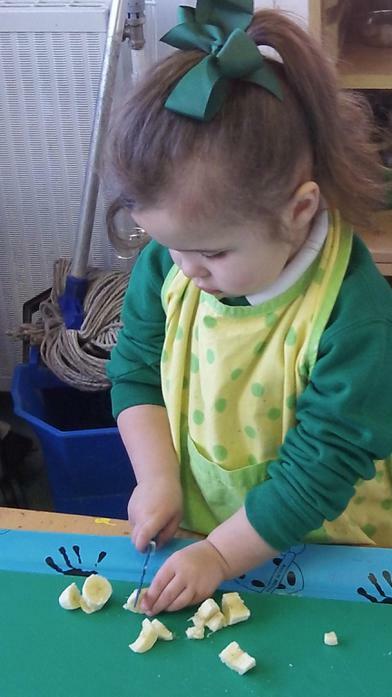 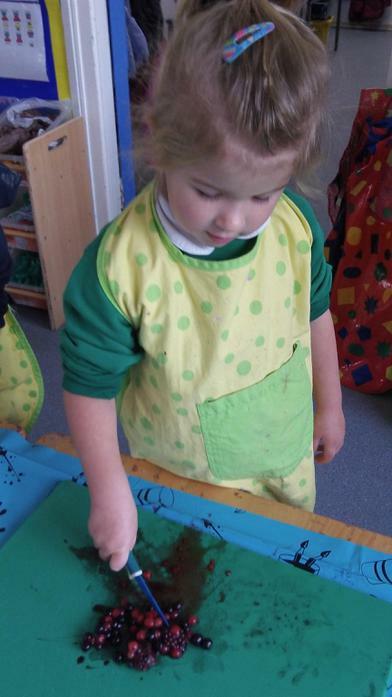 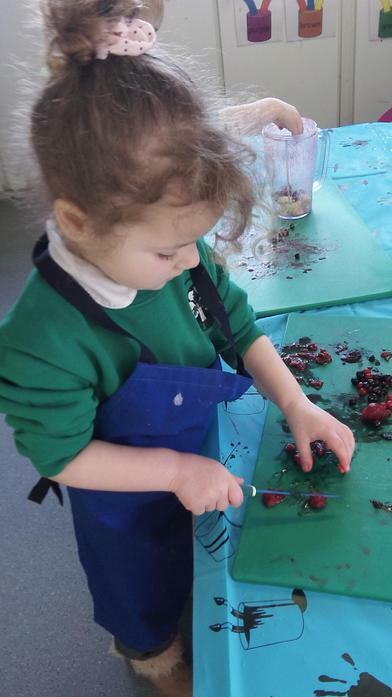 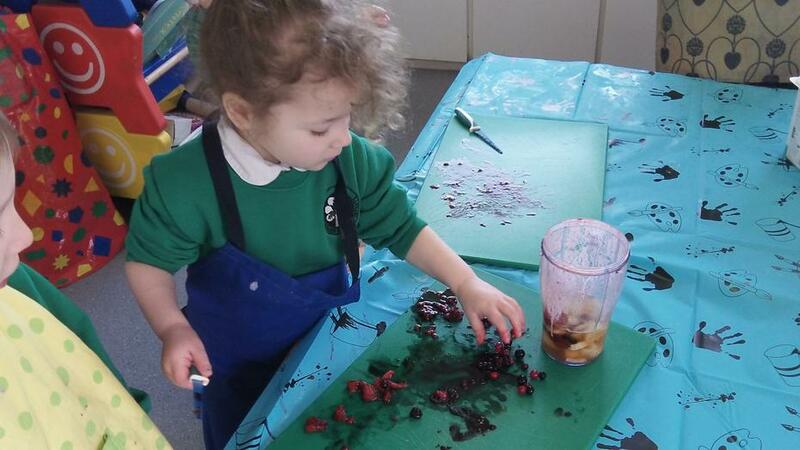 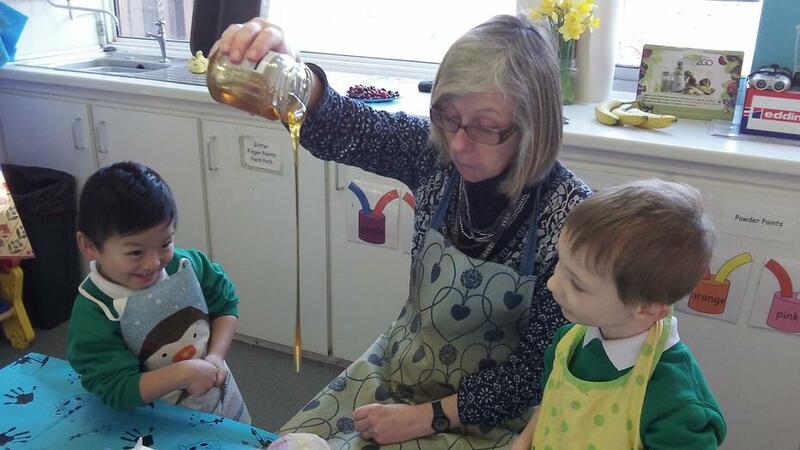 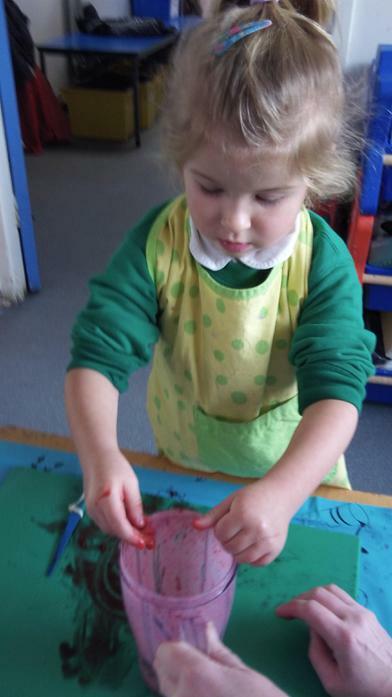 In Nursery we have been learning to recognize the logo. 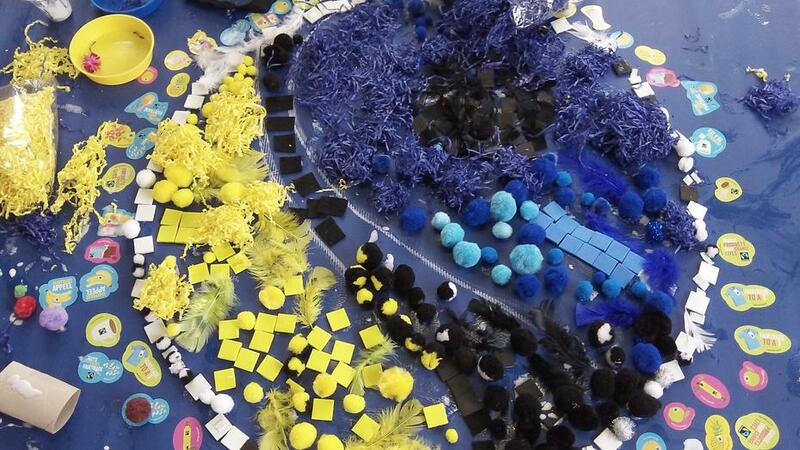 With students from the Sixth Form, as part of their volunteer work, we made our own large scale collage design of the Fairtrade logo. 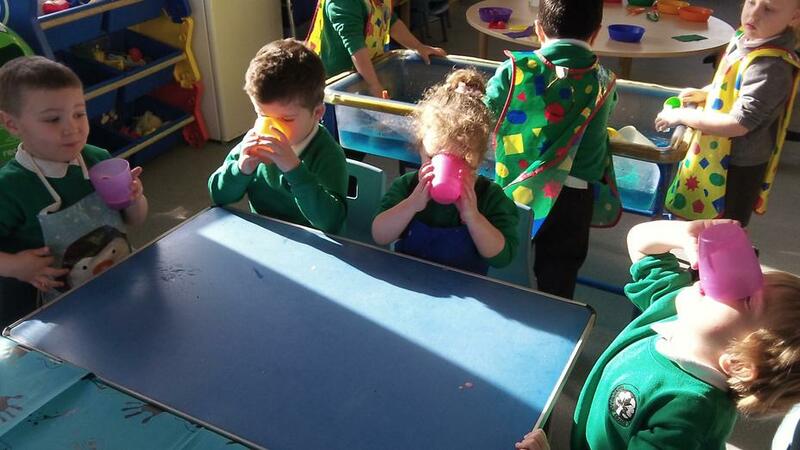 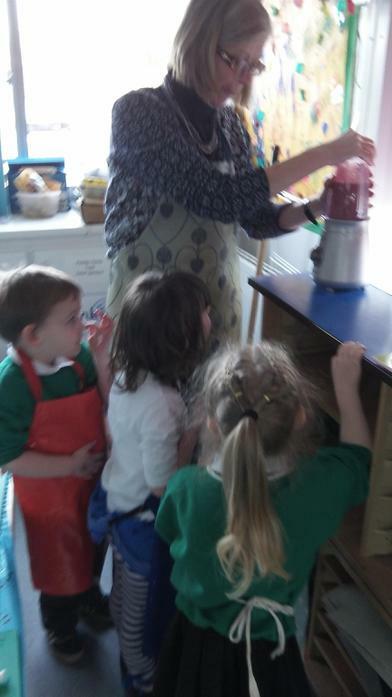 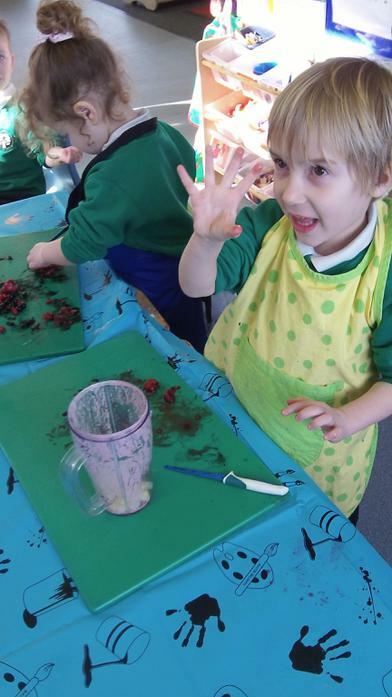 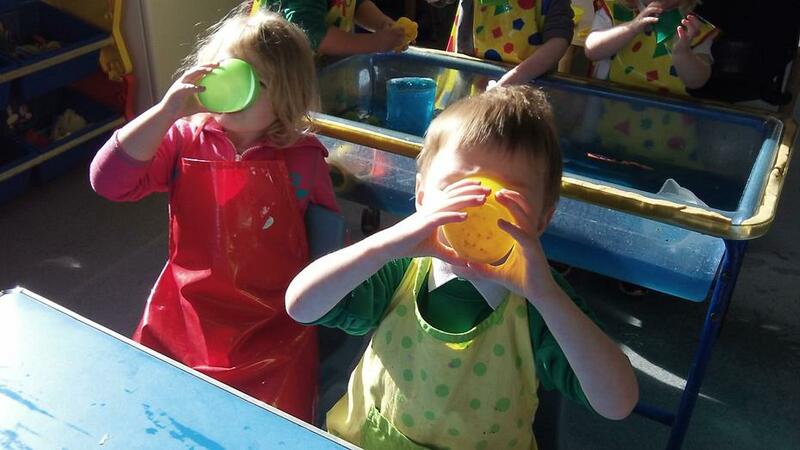 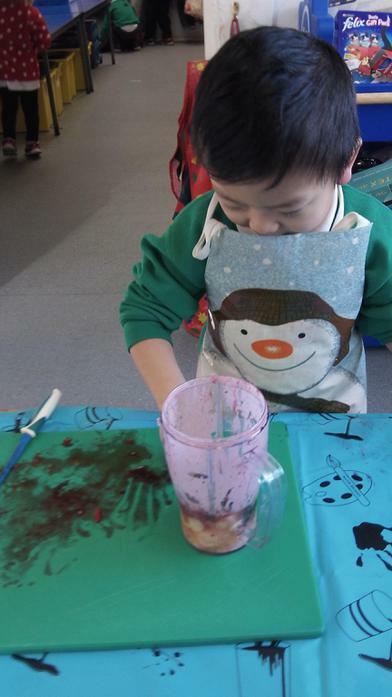 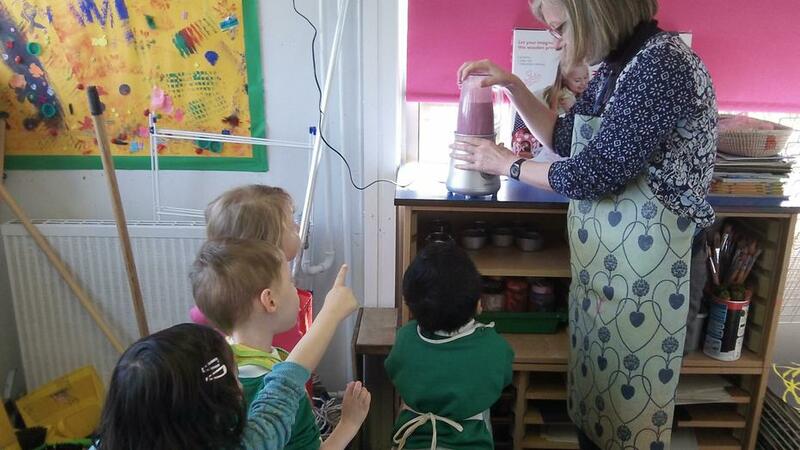 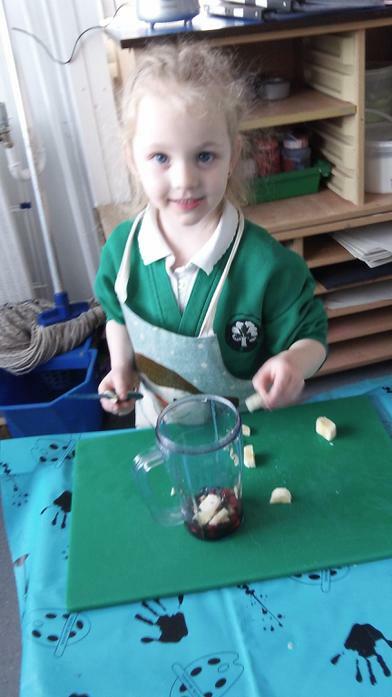 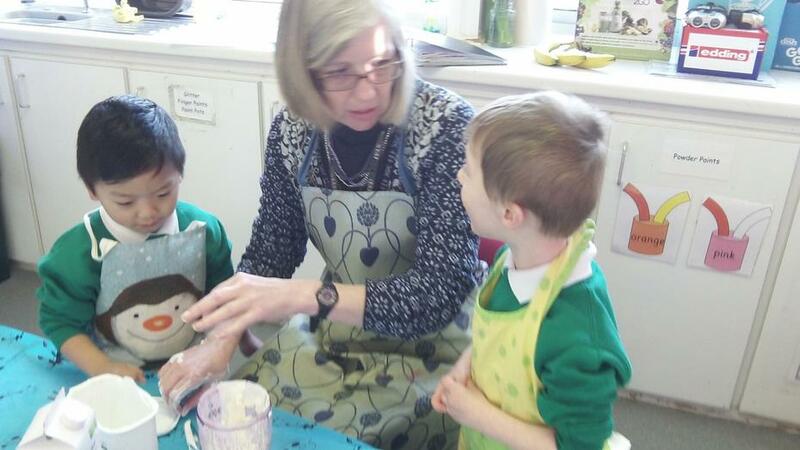 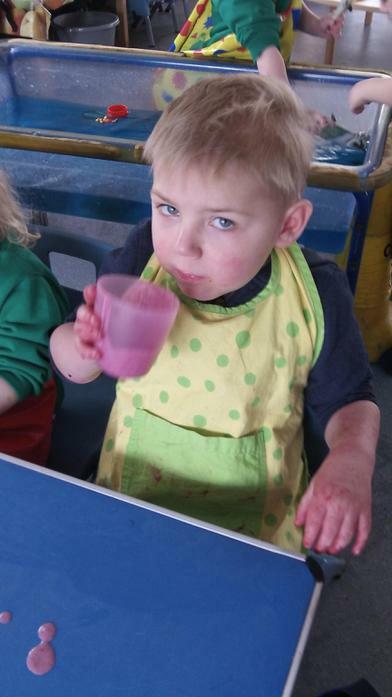 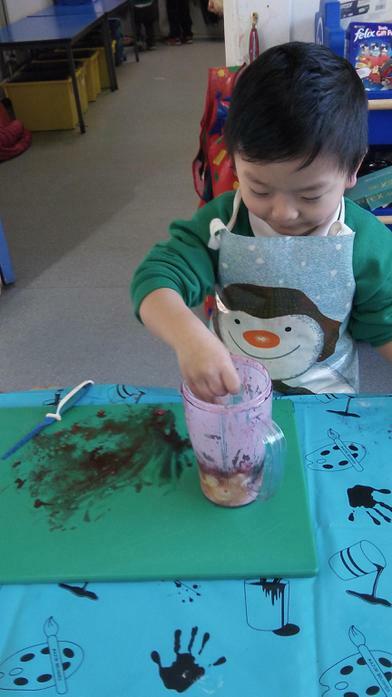 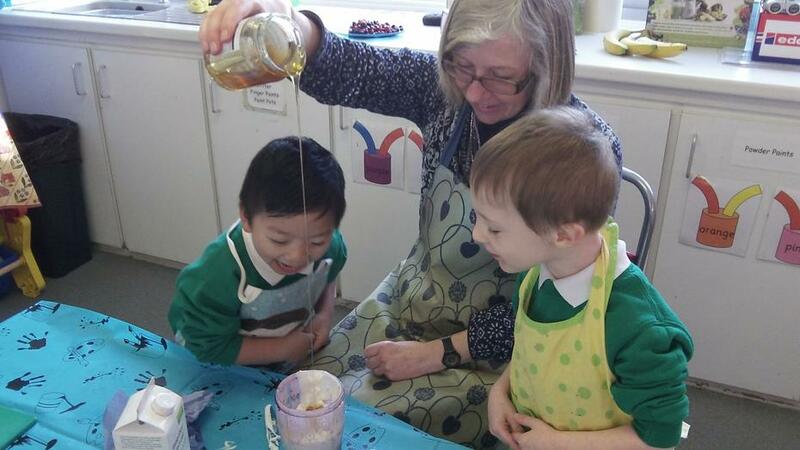 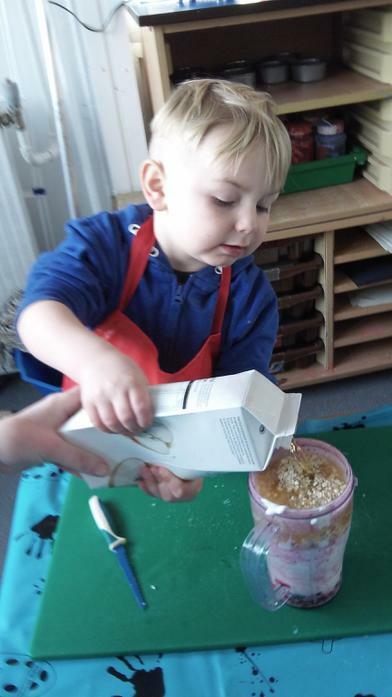 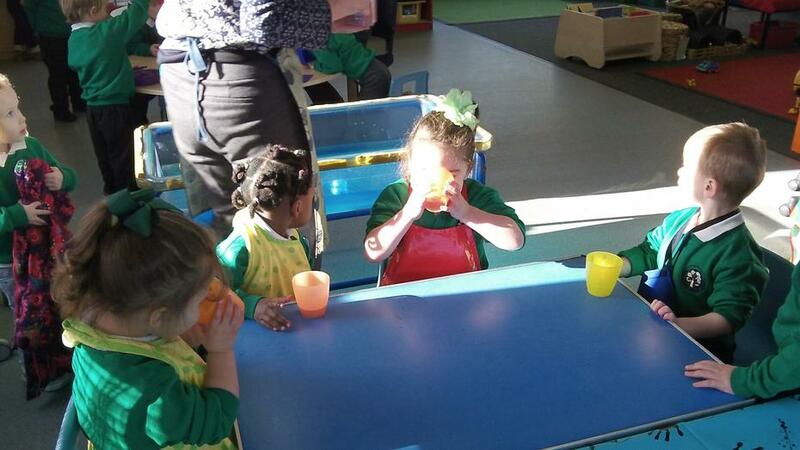 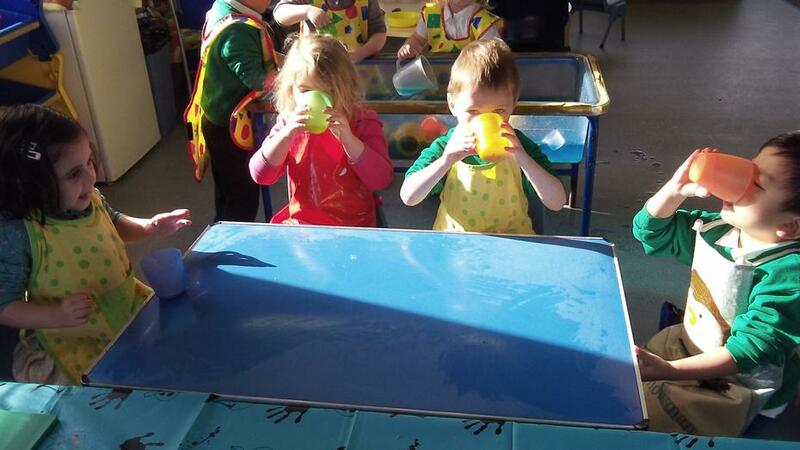 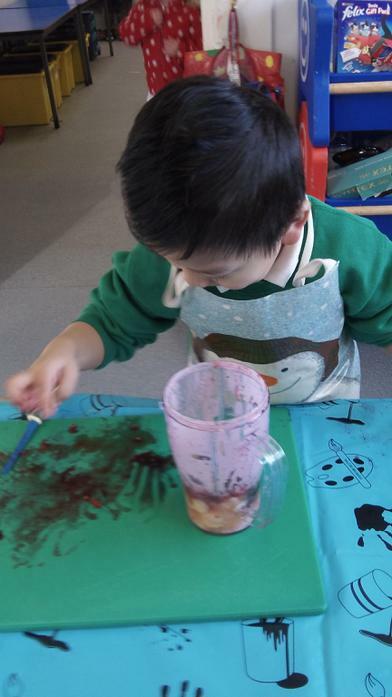 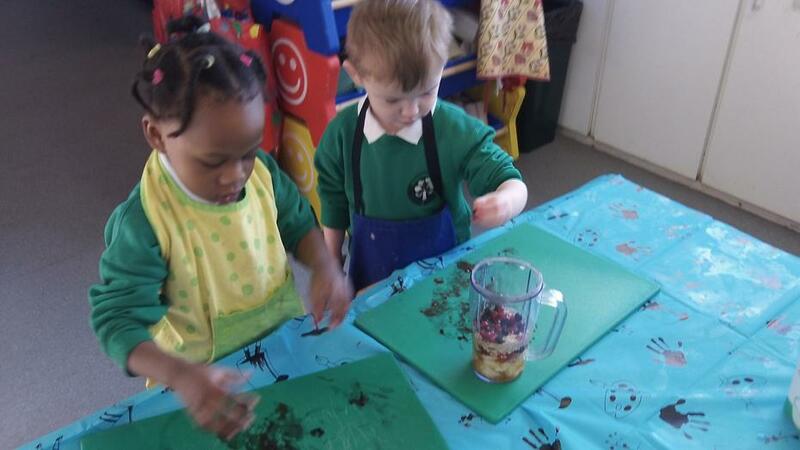 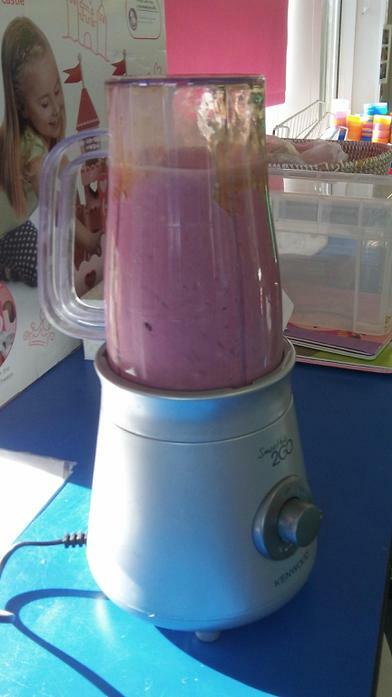 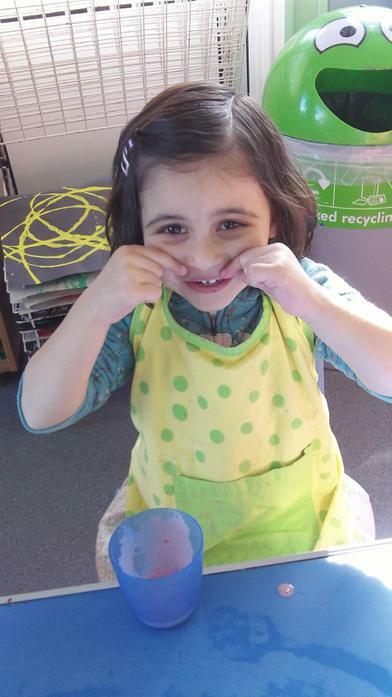 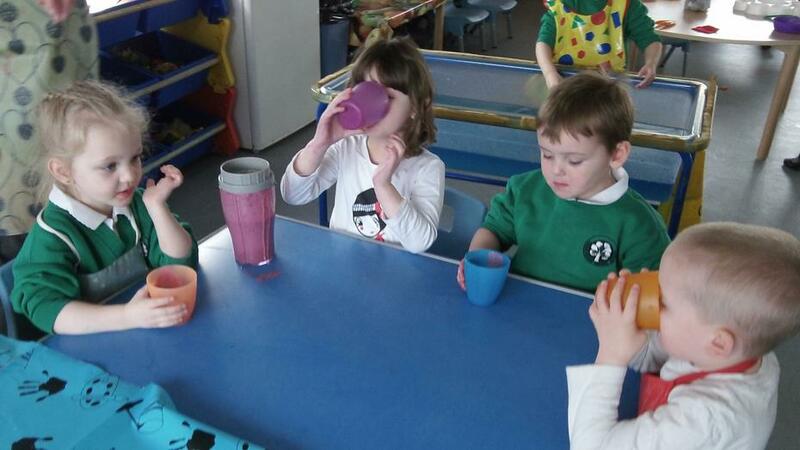 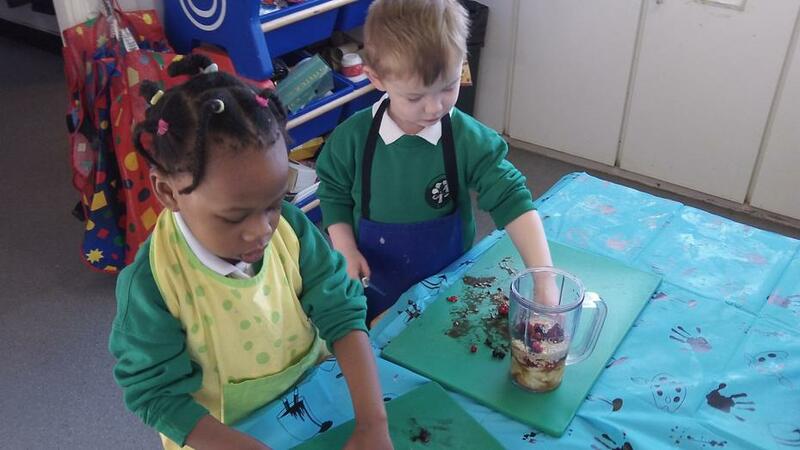 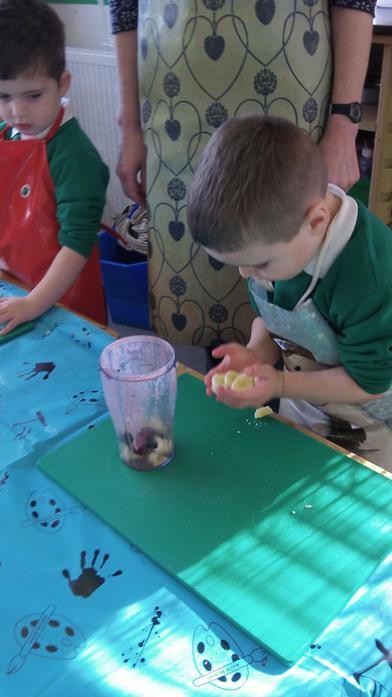 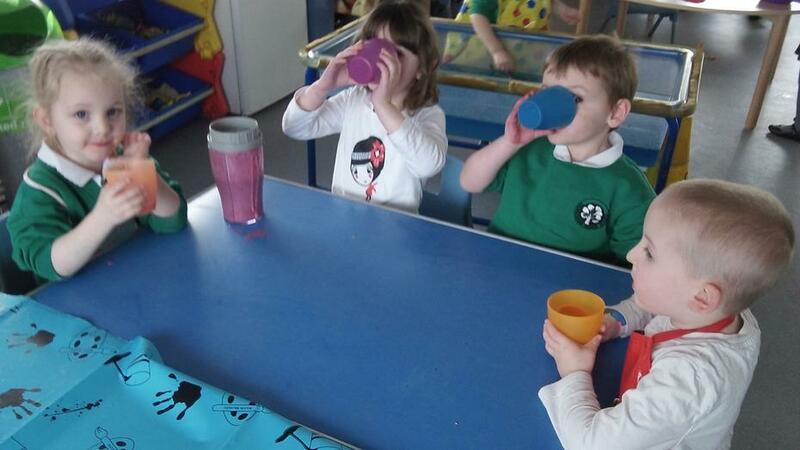 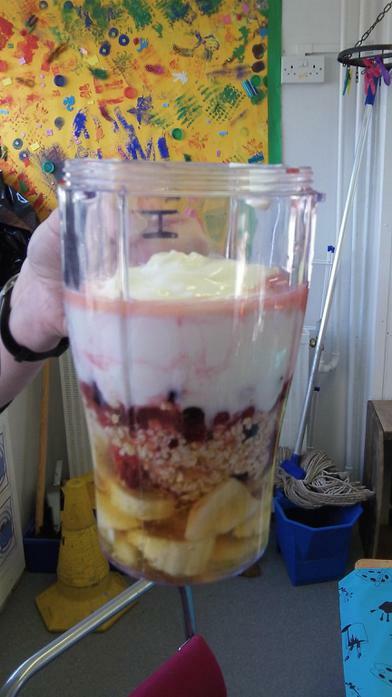 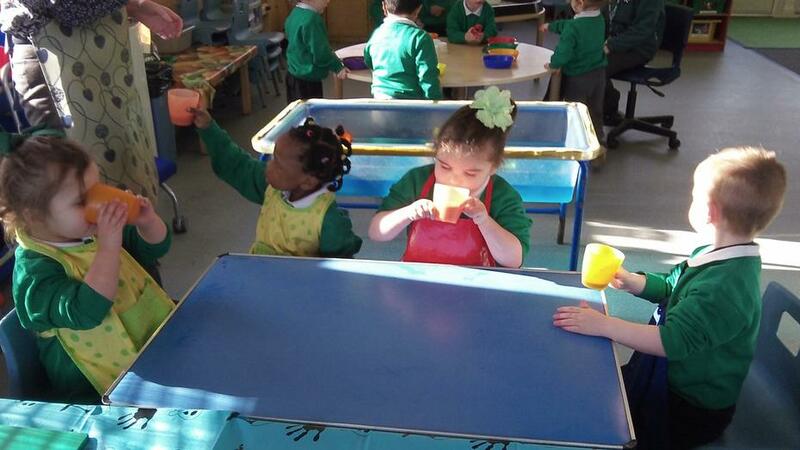 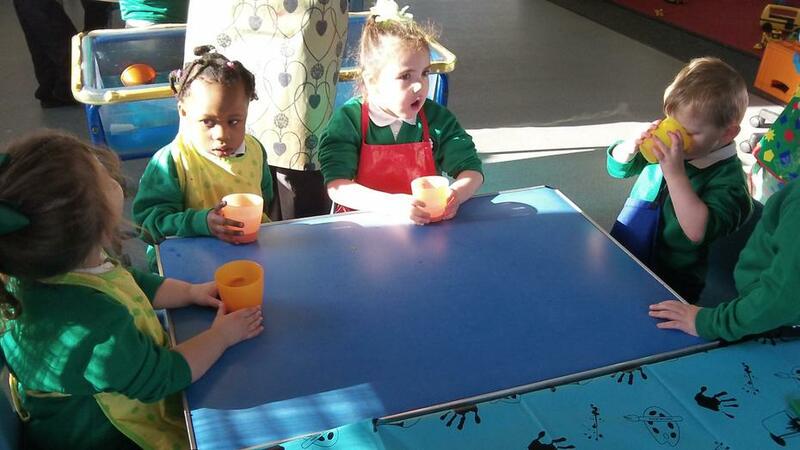 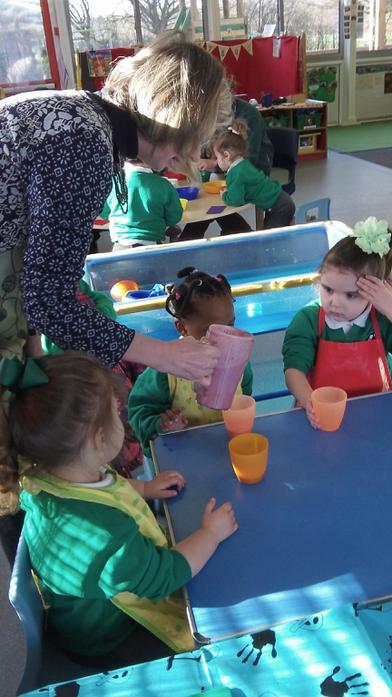 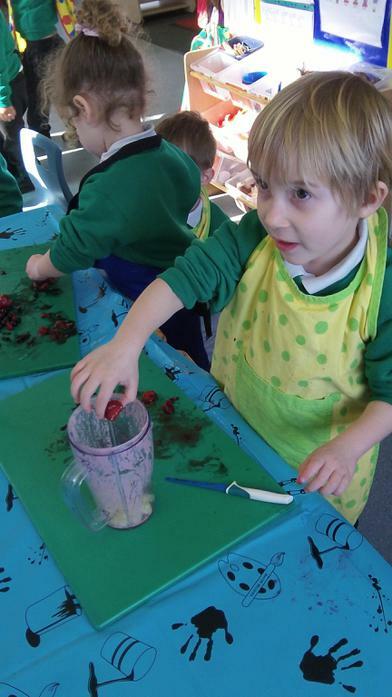 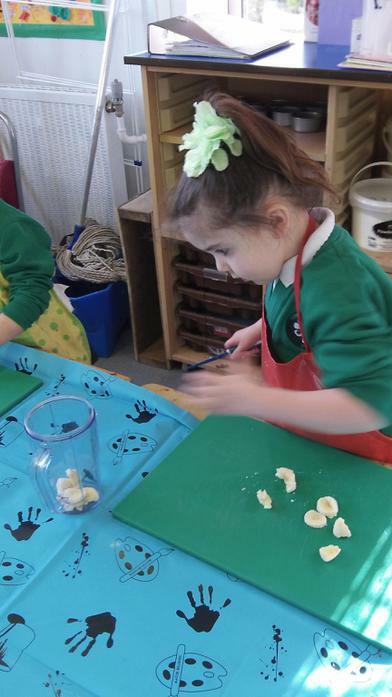 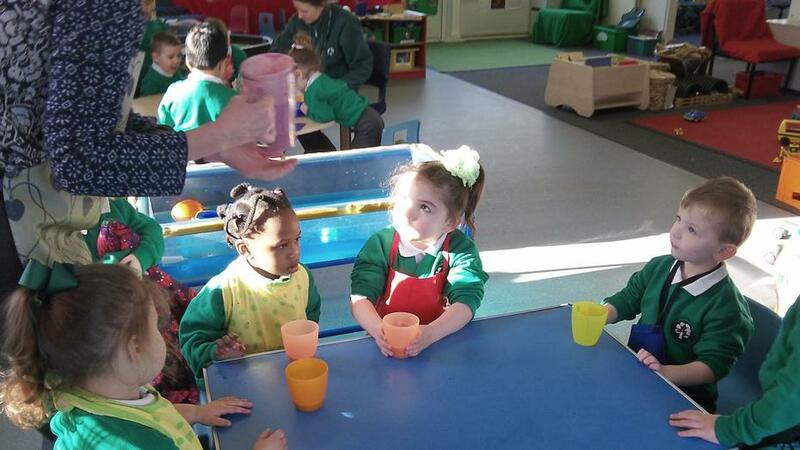 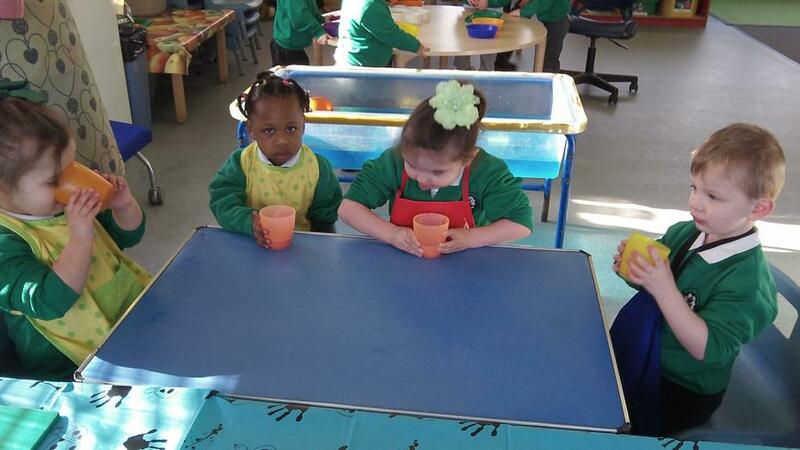 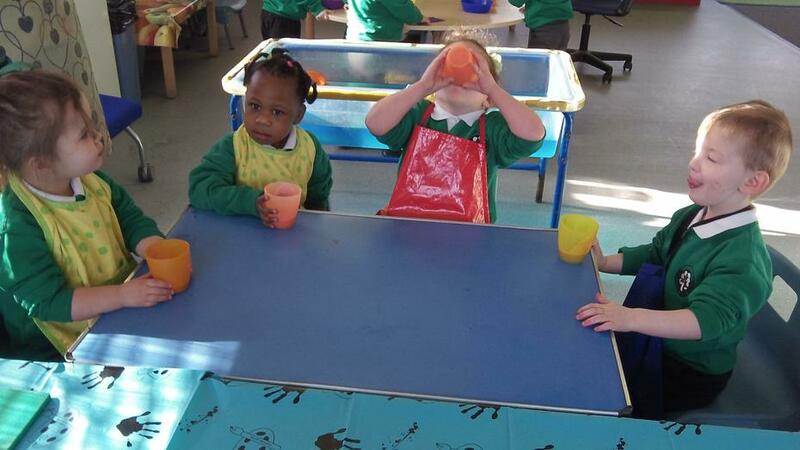 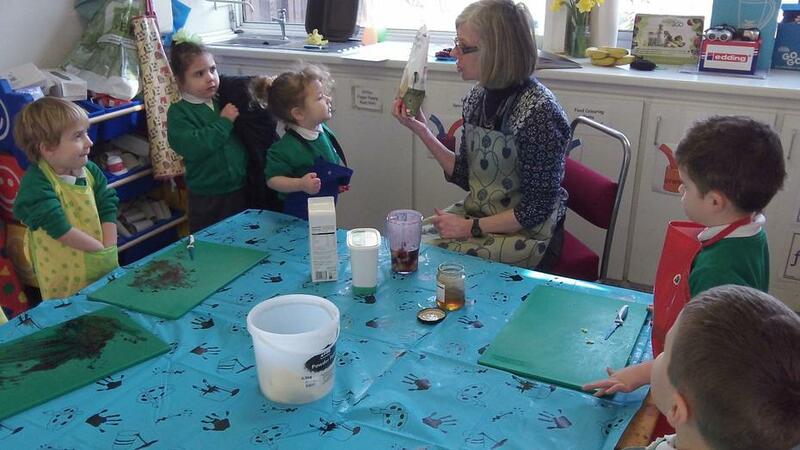 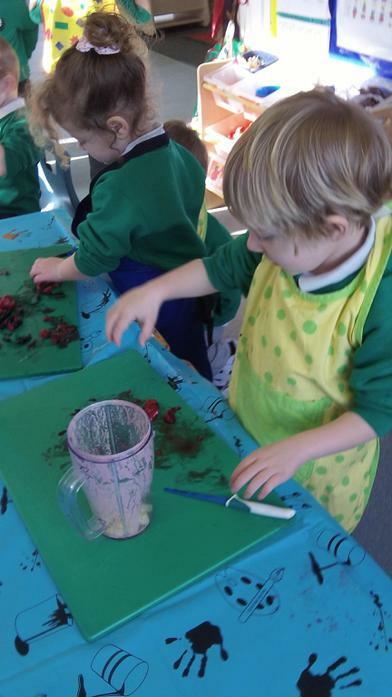 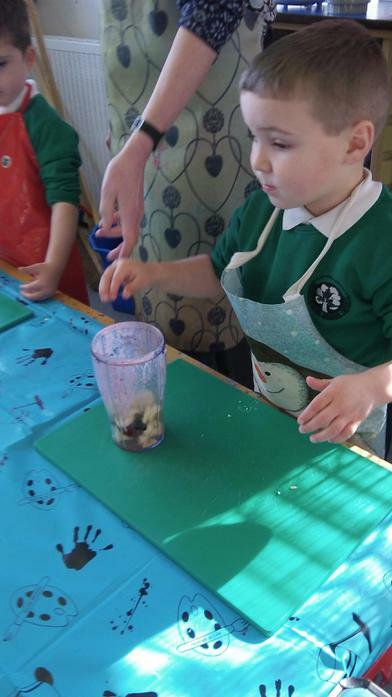 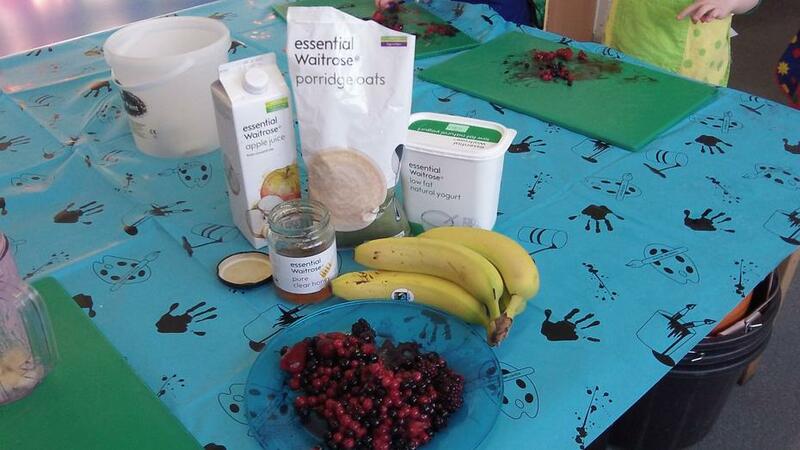 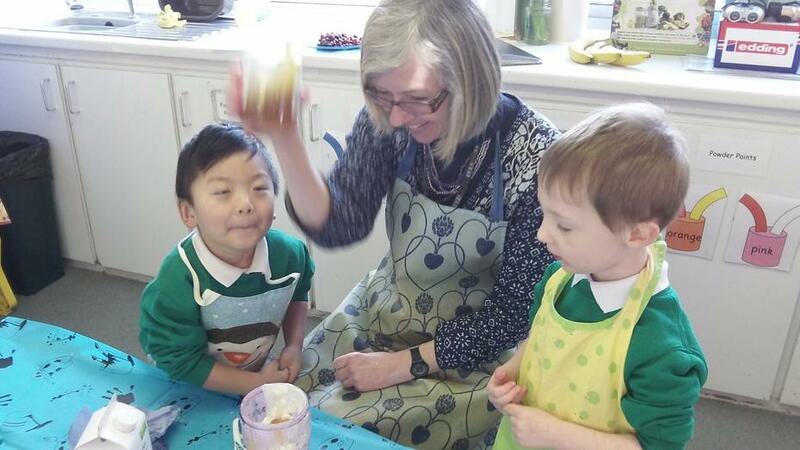 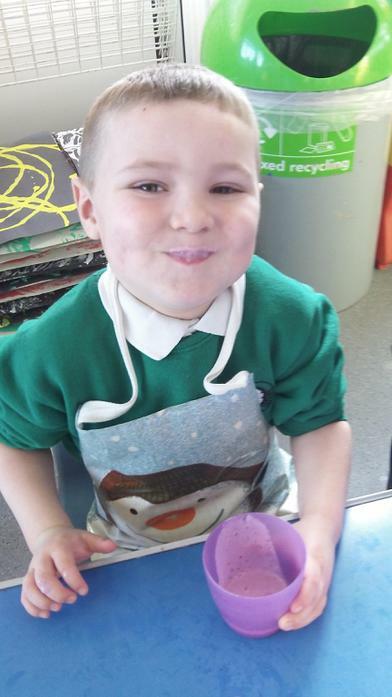 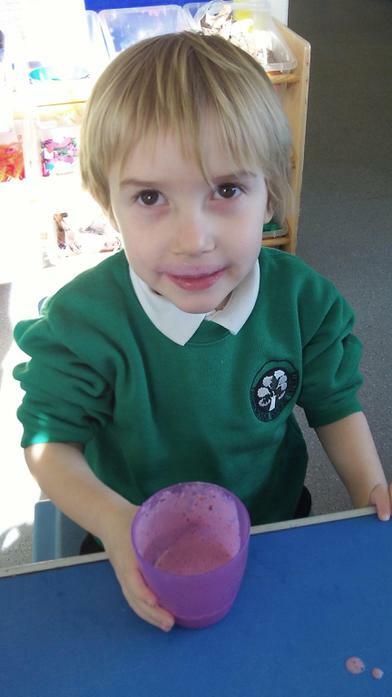 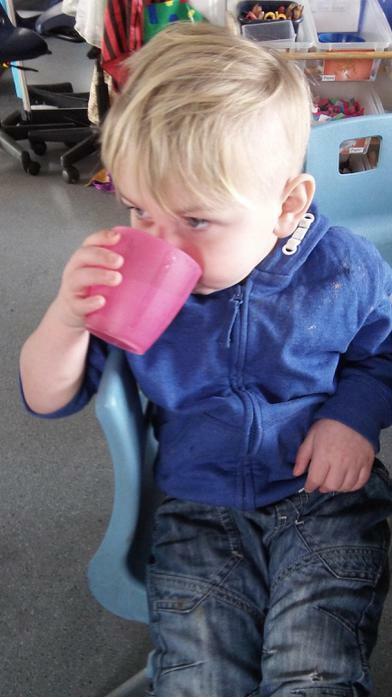 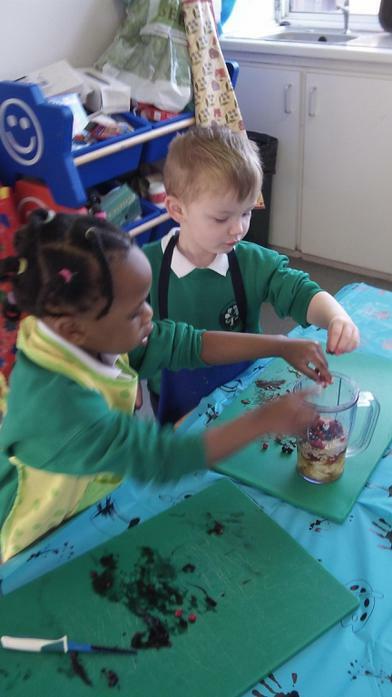 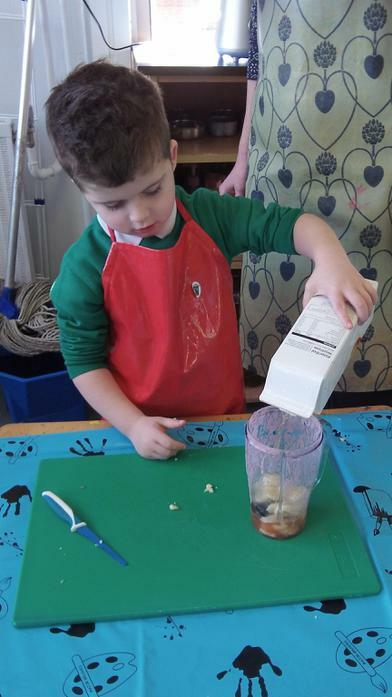 We also used Fairtrade products to make smoothies and then drank them.